One of the greatest albums ever from The Rolling Stones – a set that still draws on all the bluesy roots of their best 60s material, yet which also shows a sharper, nastier edge as well! The album shows the tremendous sense of focus and power the Stones had in this crucial late 60s stretch – a bold step forward that would give them some of their most memorable moments ever, launched by this sublime set of tracks that includes "Sympathy For The Devil", "Street Fighting Man", "Dear Doctor", "Parachute Woman", "Prodigal Son", "Factory Girl", and "Stray Cat Blues". 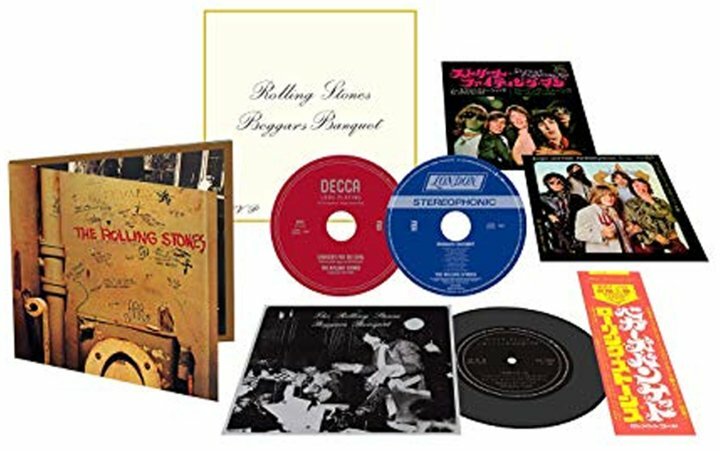 This version comes with a great package created in Japan – a 7" gatefold that features both covers of the album, inserts, and a flexidisc that features a "Hello This Is Mick Jagger" interview from 1968! Second CD features the interview, and a rare mono mix of "Sympathy For The Devil". © 1996-2019, Dusty Groove, Inc.